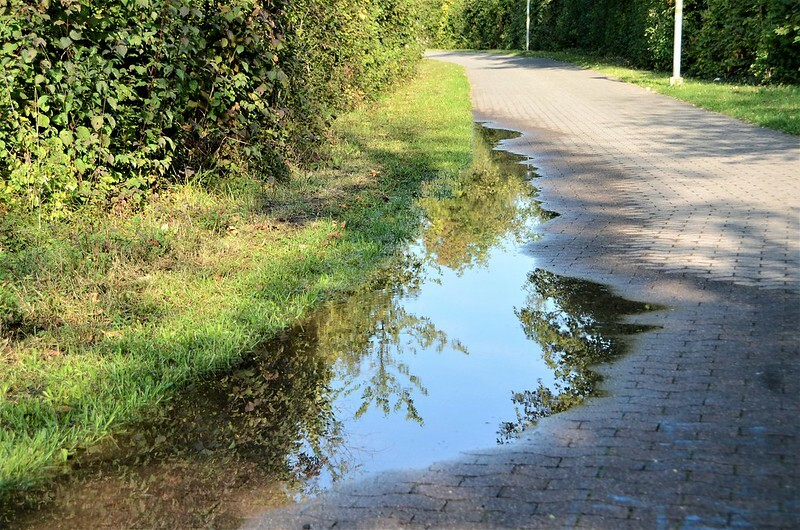 Growing up in London I was not spoilt for puddles. We had more rainy days than others, and it was not a nice clean puddle like this one from where I live. No, London puddles were dirty, and not to be waded into. Talking of puddles today reminds me that I have not seen one for a least a month. We have had no rain, no snow, and only sunny days. However the good times had now been had by all. Our carnival season begins at 5.00 a.m tomorrow morning when with drums, trumpets and anything that makes a noise people will be marching into town and around town dressed in a white nightshirt with a red necktie and naturally a white nighcap with a tassel. It is a tradition to wake up the spirits or something like that. It will probably also be waking the weather gods, as we have had snow prophesied for next week and then we will be having enough puddles of snowmelt to contend with. Walking through puddles is one thing, but if you are dependent on a wheelchair for longer journeys like myself. and you wheel through the puddles you tend to leave a wet trail behind you when entering the apartment. Puddle photography can be really rewarding..